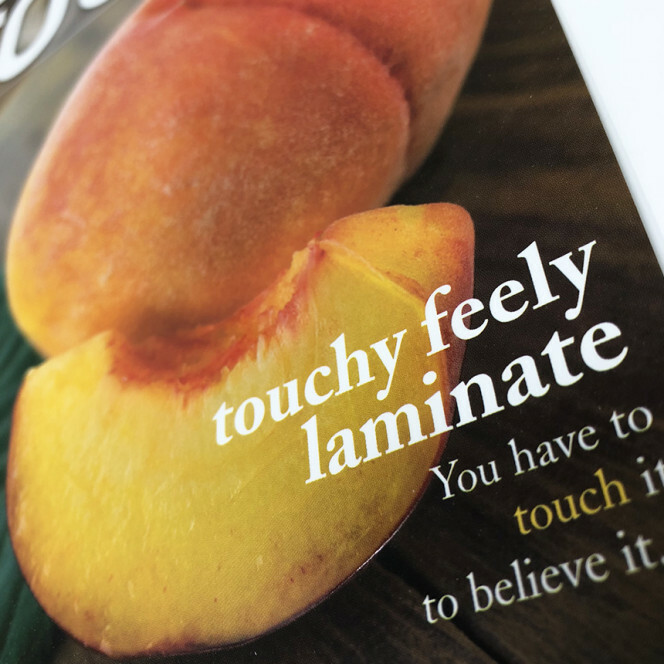 What is soft touch lamination? Soft touch instantly gives a luxurious feel to printed products, which is why it’s the perfect option for high end designs aiming to offer an up-market look and deliver striking results. Soft touch lamination, sometimes called Cellotouch, offers a protective finish with a matt effect and a soft, velvet-like texture. This distinctive finish encourages people to engage with the product due to its appealing surface. As a result of its premium feel, soft touch lamination is ideal for use on luxury packaging, high-end brochures and business cards. This finish is sure to leave lasting impressions upon those who come across the product, as it often receives an inquisitive response. soft touch lamination is also the perfect choice of lamination due to its durable qualities; for example, its finish leaves the product fingerprint free, which is essential when trying to promote a deluxe item. It also is naturally more scuff resistant than standard forms of lamination, such as matt, and is non-yellowing, meaning that its finish is prolonged. Commonly combined with foil blocking or gloss varnish and soft touch lamination is also compatible with a number of other screen applied or high-speed coating finishes. This type of lamination can also be used on both sides of the page. 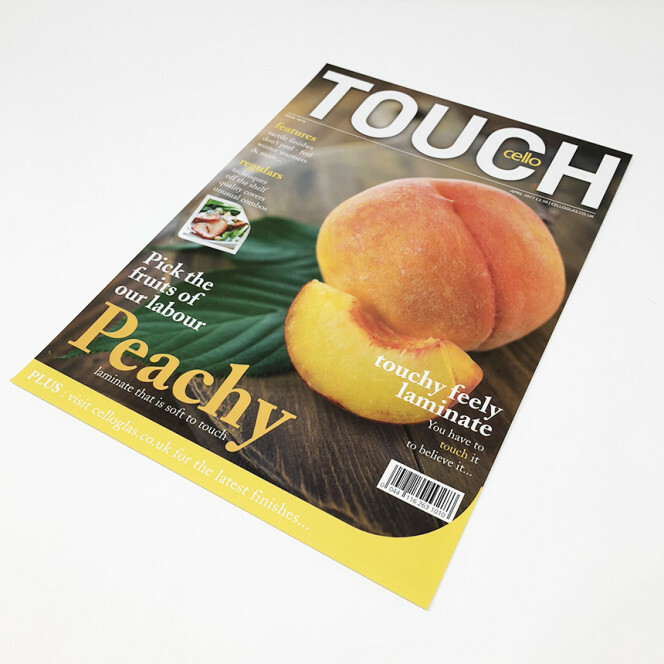 Get it touch or order a sample today to see if soft touch lamination is the right finish for you.